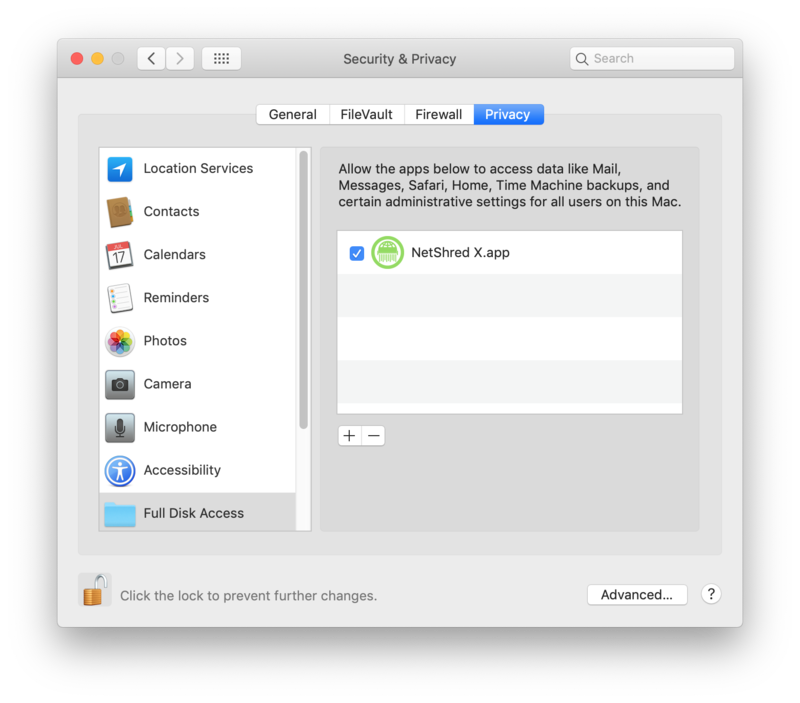 In macOS Mojave Apple introduced a new Security and Privacy feature that protects the System Preferences of Apple distributed Apps from being accessed by 3rd party Apps. This change has resulted in some pretty important Apps not being able to do their jobs. For example I use NetShred X to clear the history and cache of my browsers. Under macOS Mojave it stopped working for Apple Mail and Apple’s Safari web browser while it continued to work for everything else. This was not an easy problem to solve but after a few hours of looking around I discovered the solution lies in a new System Preference > Security & Privacy > Privacy tab > Full Disk Access option. Now, everything will work again, just like it used to work prior to installing macOS Mojave.